Queen size dust ruffle. 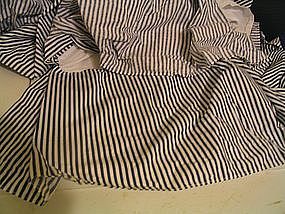 I bought to match a navy comforter for my son's room, but he didn't like the stripes. Has never been laundered or used. No damage. Additional photos or info by email. I need your zip code to calculate the postage.